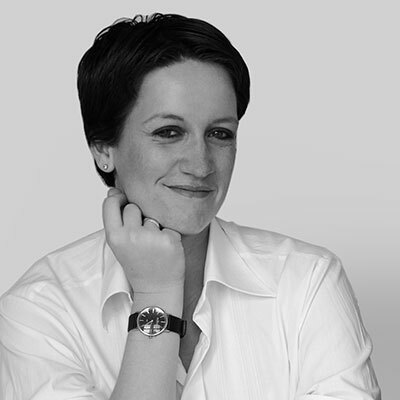 Nina Neusitzer is a direc­tor of Frank­furt am Main design agency Mark­wald Neusitzer Iden­ti­ty, togeth­er with Nico­las Mark­wald. Since 2015 she has been run­ning the company’s new branch in Düs­sel­dorf. After study­ing at the Uni­ver­si­ty of Wup­per­tal, she worked in cor­po­rate design for design agen­cies in Cologne, Düs­sel­dorf and Frank­furt. She is a mem­ber of the Type Direc­tors Club in New York, and the Deutsch­er Design­er Club (DDC), Frank­furt am Main.